According to an article in the Telegraph newspaper on the 24th of August 2018, business is booming in the construction industry, with companies in fierce competition to recruit tradesmen. This is good news, of course, for the companies involved in such a buoyant construction industry – provided they have sufficient finance to rise to the challenges presented by this growing marketplace. That involves not only recruitment, of course, but also investment in the necessary equipment and vehicles. Any company involved in the construction industry and responsible for the employment of tradesmen, therefore, may find recruitment of suitably skilled staff increasingly difficult – or, at least, more expensive – whilst at the same time maintaining and replacing equipment and vehicles. Some sectors of the industry are also likely to be under somewhat more pressure than others. So, let’s take a look at a particularly critical player in the construction industry, scaffolding companies. Investing in equipment, buying or leasing vehicles, and recruiting and retaining suitably skilled employees may hit the odd difficult spot if you are a scaffolding company. The scaffolders’ finance solutions we offer here at Cubefunder are designed to give you that extra edge in implementing your equipment and vehicle procurement plans. 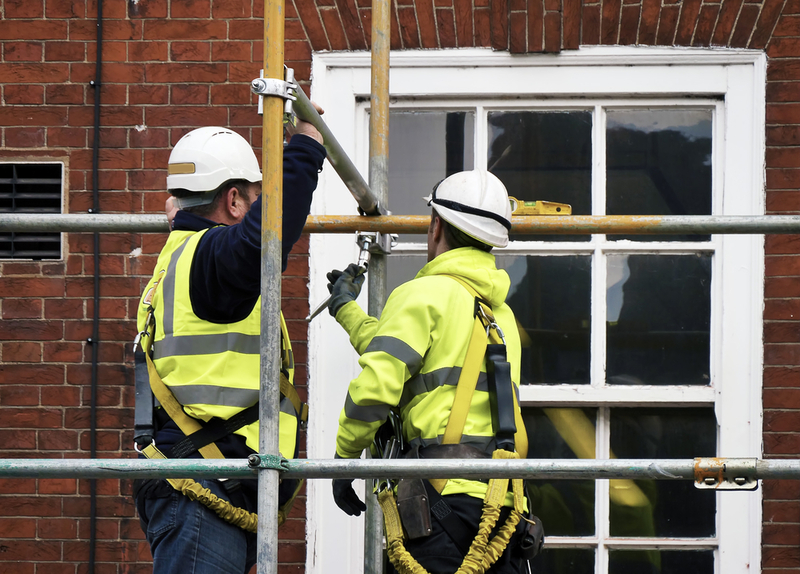 Getting it right is essential to doing your job and to your being able to attract the most competent scaffolders – the cornerstone of your business in an increasingly competitive market. Depending on the scale and nature of your scaffolding business, the finance you need to make these investments is going to vary. That’s why we offer loans of any size from just £5,000 right up to £100,000. defined – the cost of credit is known right from the start of your loan agreement, so management of your company’s cashflow implications is made that much easier. As competition in the sector increases, so does your need to respond quickly to changing conditions. Thanks to our streamlined, online processes, your access to the necessary business finance is also made that much more straightforward – and fast. In response to your initial online enquiry, therefore, we aim to give you a decision in principle practically immediately. If your loan application is approved, we aim to deliver the requested funds by electronic transfer directly to your company bank account within 48 hours or so. We welcome the opportunity not only to discuss your particular needs over the telephone, but also to maintain such contact throughout the term of the loan. If unforeseen circumstances lead to any difficulty in meeting a repayment instalment, for example, just let us know in advance and we are generally able to extend your repayment schedule by that extra month, without your incurring any penalty charges. If your circumstances change and you want to make earlier than scheduled repayment of your loan, that too may be done without incurring any financial penalty.